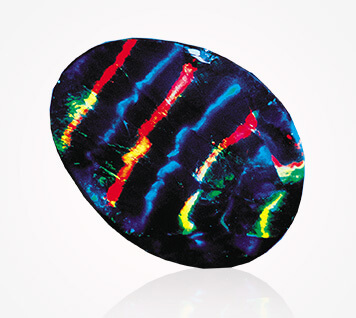 Black Opal has set a high standard for the quality in gemstones that is hard to beat. 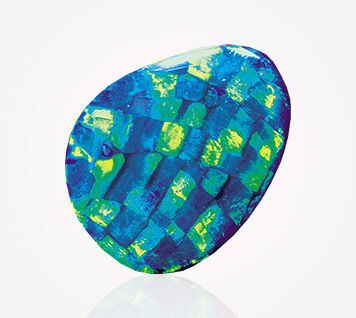 Black Opal is famous for its mysterious dark body tone and vibrant colours which produce the phenomenon called “play of colour” which showcases all the visible colours of the spectrum. No two Opals are ever the same. When you own an Opal you own something that nobody else does and something that could have taken nature millions of years to create. The majority of the world’s Opal comes from Australia. Lightning Ridge is located in north western New South Wales, it is an area which millions of years ago was home to a great inland sea which had perfect conditions to produce perfect Opal. Discovered by Jack Murray, who was a boundary rider, in 1901, it was Charlie Nettleton who sank the first shaft in Lightning Ridge in 1902. At first this magnificent Opal was rejected by buyers as being too good to be natural. Not one to give up, Charlie walked to White Cliffs with his Opal and sold it. This sale allowed the field to move ahead and continue to produce the world’s best quality natural Opal. 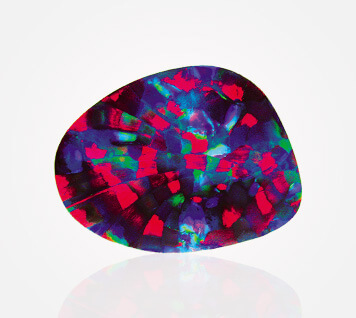 Black Opal is unique due to its dark body tone ranging from the darkest black to grey. All the colours of the visible spectrum explode and dance from within this beautiful stone, mesmerising the lucky viewer.